The Virtual Reality company took one of their 4K virtual camera rigs to the 2016 Simola Hill Climb in Knysna from 6 – 8 May to capture the excitement of this unique event in 360 degrees. 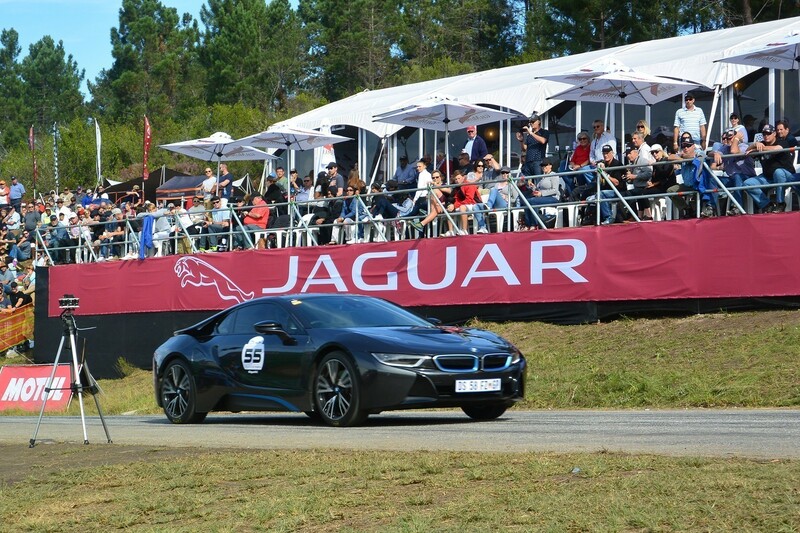 It was the third Hill Climb sponsored by Jaguar and the seventh running of the event overall and this year saw record crowds attend from across the province and the country. 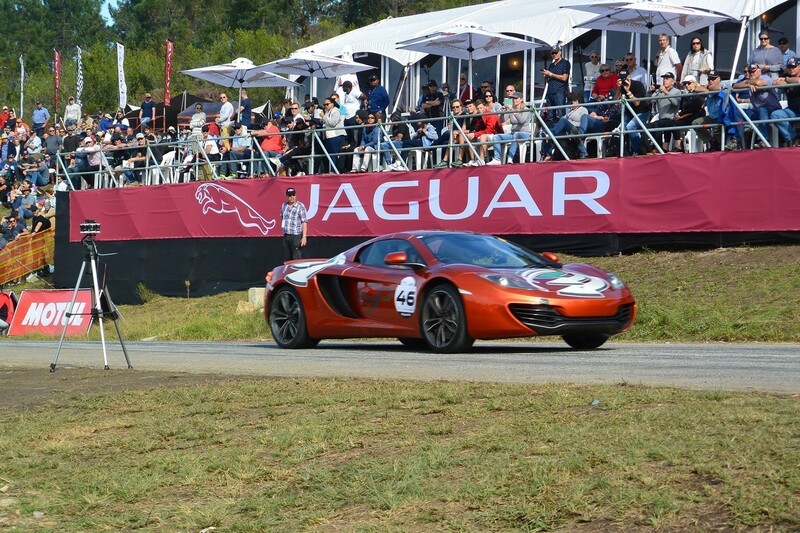 The event is run on a steep uphill road near the Simola Golf and Country Estate. The road is 1.9 kilometres long and competitors in various vehicle classes try to race up the hill as fast as possible. Until 2016, no competitor has been able to break the magical 40s barrier, despite the fact that some of the cars deliver as much as 1 800 horsepower. For the Virtual Reality company, the event was a quick trial run for its new virtual rig, which comprises of nine 4K high-resolution action cameras capturing video in 360 degrees and one camera facing up. “The new set-up, which we have designed and printed with a 3D printer, allows us to stitch a full 360-degree panoramic dome. The only space that is left out is the base of the tripod, which we use to add branding or information to the video,” says Gerald Ferreira, founder and designer of the new Virtual-Reality rig. Ferreira explains that the perfect placement of the cameras and the high resolution of the 4K cameras allow for rapid video stitching and project turnaround. If you want to watch the video in virtual reality you can go to the 360° Video on YouTube and click on the Google Cardboard option! At this year’s event, Franco Scribante finally broke the magical 40s barrier with a final run of 38.646 seconds. Scribante raced a custom-built Chevron with a high-revving V8 built from 2 Suzuki Hayabusa engines. His achievement is especially noteworthy, since he crashed the car during the early-morning test runs and the team rebuilt the broken suspension in time for him to qualify and compete in the King of the Hill final race. First in the Supercar class was a near-standard Nissan GT-R from racing legend Jaki Scheckter. Scheckter ruled the class that included vehicles such as a Lamborghini Aventador, Jaguar F-Type R, McLaren 650 and Ferrari 458. In one of the camera tests, the rig was placed between the pits and the start, a short stretch of tarmac that allows the competitors to warm up their tires and show off to the expectant crowd. “We have uploaded the video straight from our rig, with only basic stitching and no editing as a showcase of the inherent quality of our virtual videos. The video captures some of the excitement of the day and will give everyone that could not attend the event a good idea of the layout and atmosphere,” says Ferreira.